When it comes to new speakers, we’re on top of it to give you the first look. 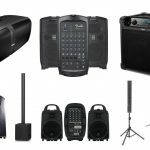 Today we review the Korg KONNECT portable PA system, an all new solution to on-the-go music as well as performances if that’s what you fancy. We’re pretty big Korg fans, so being able to go into their booth at NAMM and see what they had to offer for this year was quite exciting. This particular product stood out, so we took a lot of time to get a feel for it and jot down our thoughts to help you see if this is worth the buy. 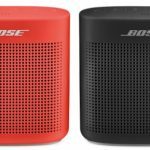 With the price-tag, we aren’t calling this a “standard Bluetooth speaker” whatsoever, especially with some nifty controls for sound in the back of the unit and the power it provides at such a small size. Let’s see what the Korg KONNECT is all about. Altogether when it comes to the external of the Korg Konnect, we’re getting a nice build here that isn’t cheap (expect from Korg). We’d call it “standard” speaker build — no metal or anything, but it isn’t cheap plastic either. Despite that power, it surprisingly only weighs about 12 pounds, and the dimensions are 17.8″ x 8.9″ x 9.2″. Accessories are sold separately (stand or carrying bag), so if you do want to keep it safe, we’ll recommend at least investing in some type of protection if you’ll be on the road a lot. In terms of the internal build, we have the standard two tweeters but also a larger 6.5″ subwoofer to go along with that 180W. The structure itself inside is “bass reflex” for some great, rich low-ends. While all of this internal build works, let’s look into how it actually process audio. There’s a SHARC DSP to provide us very clear 32-bits of digital processing. SHARC processors are very solid, and they’re particularly specialized in DSP (digital sound processors) with great sound and reliable performance. The crossover in the Korg Konnect helps blend these lows and highs with accurate phase control. Yes, fancy tech terms here, but we’d figure we would at least explain a little bit in terms of what’s going on inside. 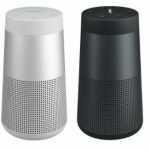 This also helps justify the price — it’s more advanced than standard Bluetooth speakers or even some other competing portable PA systems out there. 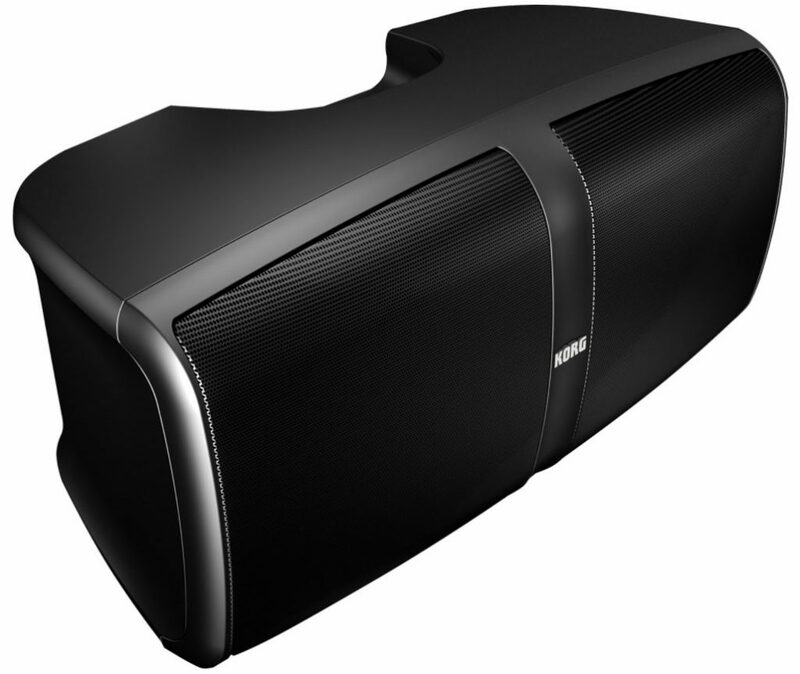 With a speaker\PA system this big, we must talk about power before we think about sound quality. The 180 watts of peak power is very large considering the size — this thing is a tank, and when we heard it at the convention, it definitely turned heads and drowned out the sounds of others around us (it wasn’t even at full volume, either). Pair this up with the feedback suppression and you’re free of worries even if cranking this up all the way to 100%. With all of this mind, the sound was crystal clear — definitely complaints when it comes to “sound quality”, albeit a relatively subjective term in the audiophile world. A side feature of the Korg Konnect we also took a liking to was the SCENE function, with a simple navigation allows you to recall previous settings — a big plus if you’ll be using this bad boy in different environments and want to tweak settings based on when and where you’ll be playing. There’s also something called “center cancel” which allows you to reduce the volume of vocals or guitars in the current song you’re playing. 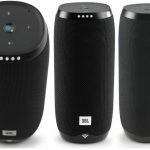 The frequency response is 55 Hz – 20 kHz, which we’re fine with aside from not being able to get down to that recommended 20 Hz level, but speakers are a bit different from the standards of headphones when it comes to low frequency response. 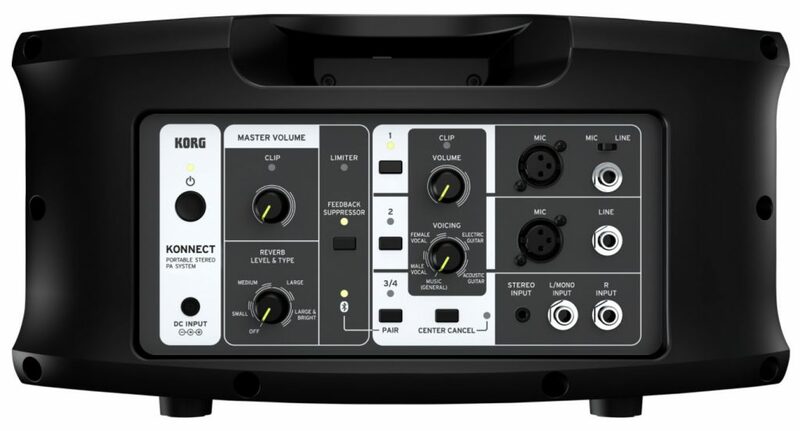 Let’s talk about what sets the Korg Konnect apart from it being “just another speaker”. The back has entire panel layout to tweak settings, plug-in mics and more. You have four input channels for mics\other audio sources and instruments, and each channel has independent volume control. You also have a mixer, amp, speaker and multi-effect unit. Master volume, reverb level, feedback suppressor, and Bluetooth indicator is back there as well. Lastly, when it comes to use of the speaker, a plus but not necessarily a must is their Korg Konnect App compatibility with this thing. You have an entire interface at your fingertips in the app, and it’s compatible with both iOS and Android. 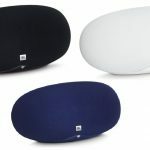 You’ll have to connect to it via Bluetooth, but once you’re able, you can control settings such as master volume, edit parameters, solo and mute settings, etc. Actually, you can control every single thing you see in this back picture here, all at the palm of your hand. This can be especially groundbreaking for engineers or those who are controlling a performance from afar at a venue — you won’t have to sit behind the speaker. In terms of usage, we’ll have to let you decide on that one. We’re still a bit confused as to why Korg thinks there’s a big demand for this, aside from perhaps house parties, extremely small venues\bars that don’t have a PA system built-in already, or even leisure use at home or a friend’s house. 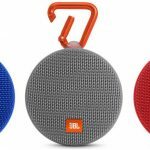 Many would just consider regular Bluetooth speakers for that, but if you take a liking to super powerful speakers with some extra function on top of it (especially if you want to attach some microphones to it, perhaps some karaoke?). Yes, it can be mounted on a speaker stand, so maybe you want to combine two of these for extra power if you’re performing at a small venue or bar? Again, we wouldn’t just limit the Korg Konnect to only what we’ve listed — their site also states it can be functional for performances in small coffee shops (don’t crank it too loud there! ), seminars or talk events, as well as dance schools or perhaps gyms. You’re more than welcome to use this as a Bluetooth speaker — it uses channels 3 and 4 for this. In conclusion of this review, we feel the Korg Konnect portable PA system is a beautiful piece of work by Korg, however suitable for only a select few who think the price-tag will justify their use. It’ll depend on what you do as a musician or really your style as a music listener. 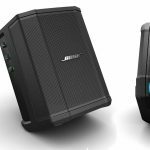 If you are performing, it works very well as a single-unit system, but there may be other models that may suit your needs — check out our portable PA system guide if you want a few different options to consider. 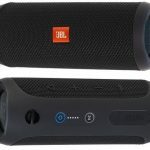 It is however definitely high up there in terms of competing with the new JBL Boombox we just reviewed, although you have zero mixing capabilities with that one, so it may be more of the “Bluetooth speaker” direction you may want instead — we’ll let you decide.